Nothing to do but move in! Unique property in that everything has been updated since the original build. If newer systems, gorgeous kitchen and baths, peace and quiet AND a heated, in-ground pool in a highly sought after neighborhood are on your list of must-haves, look no further. Perfect home for entertaining inside and out. Open floor plan lends itself to successful, indoor holiday gatherings. Outdoor large deck overlooks the secluded pool & patio perfect for warm weather parties. Did I mention the neighborhood? Coveted Indian Pond Estates, tucked away on a quiet street that abuts acres of conservation land. All this and a two car attached garage and central air with plenty of room for expansion in both the walk up attic and dry full unfinished basement. Professional landscaping maintained with an irrigation system. 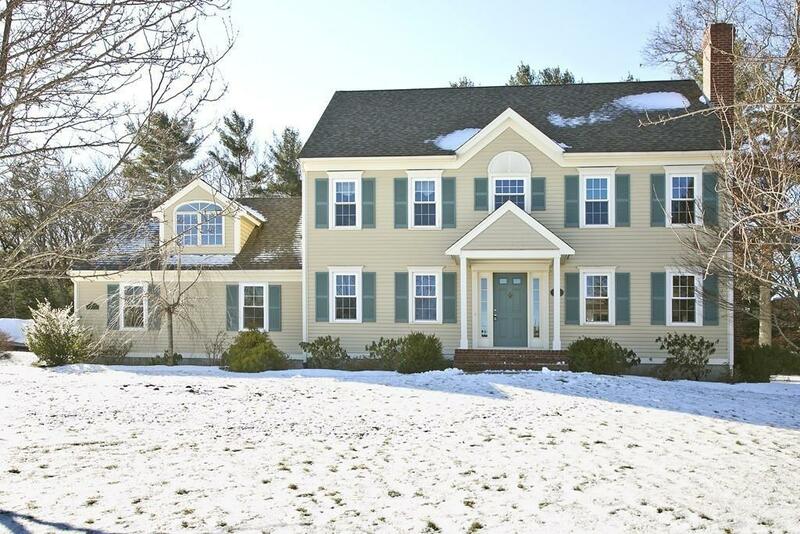 See agent for a complete list of improvements and updates of this well maintained colonial.